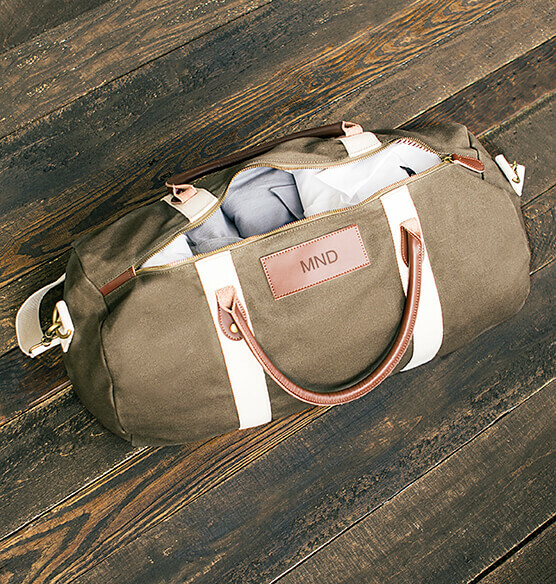 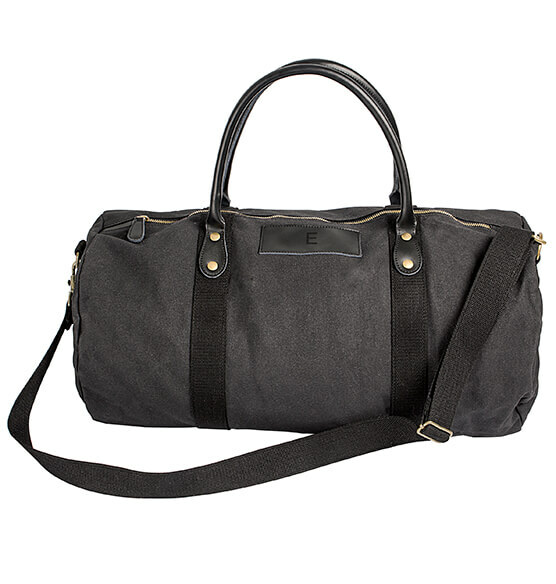 A handsome weekender bag, the Personalized Canvas & Leather Duffle Bag is perfect for the man on the go. 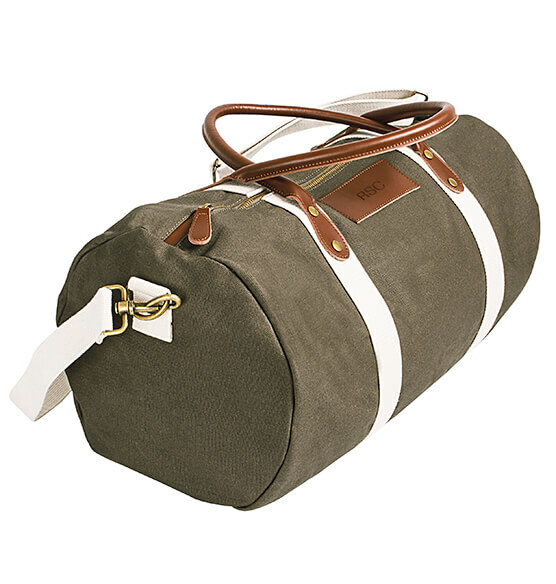 Distinguished travel luggage, this duffle bag features a sturdy yet lightweight canvas with leather straps and accents, an adjustable shoulder strap, and a sophisticated striped interior. 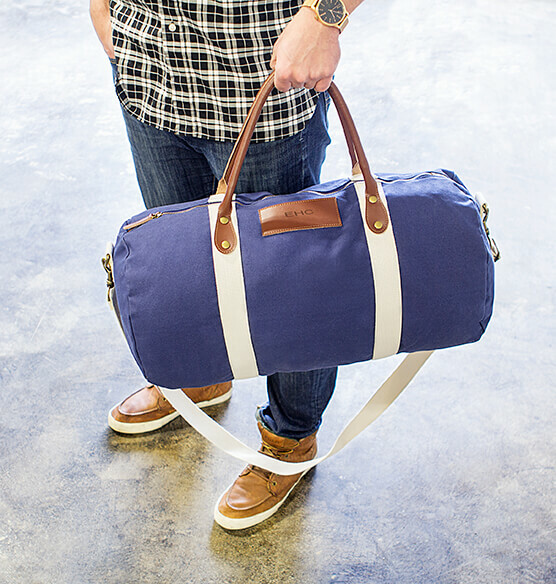 A great gift for any man, it's easy to carry and looks good by your side. 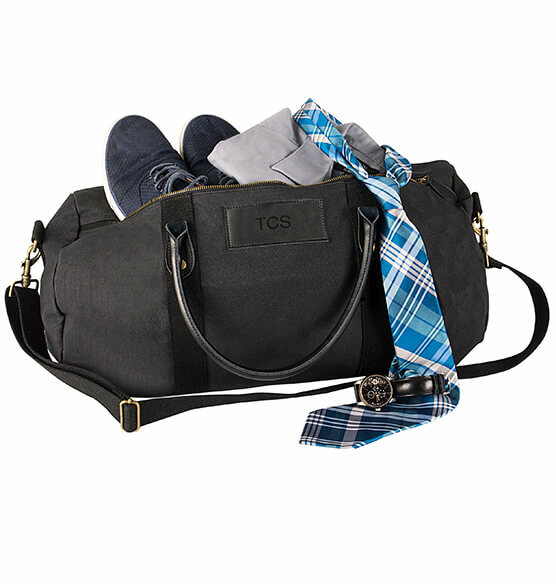 Specify color: black, navy or green.